Let’s say you’ve recently been tapped for a new training project at your organization and Karen, from the Marketing Department, needs your help. Her job is to train all the sales reps on how to sell a new product. She has specific marketing messaging she wants to use and has asked you to help turn it into training for the sales reps. Anyone who reads my articles knows that when I get a request for training, my go-to first step is to do a proper training needs analysis. This type of analysis identifies why the performance gap exists and confirms that training will bridge that gap (find out more about that here). That said, there are a few situations where you DON’T need to do a training needs analysis. What are those situations? First, if the training is mandated by law, then you have to do it—regardless of whether you actually need it or not. Second, if something is new, be it a product, a system, or a process, the employees need to be trained on it—period. Remember that training can come in many formats: e-learning module, job aid, screencast, on-the-job coaching, mentoring, reading … the list goes on. In my example, the company is implementing a new product. And since it’s new, the sales reps need to be trained on it, so we don’t need to do a training needs analysis. Karen, from Marketing, sent you a bunch of PowerPoint decks and documents that describe the new products, its benefits, descriptions, and more, and it’s your job to sift through it all. How will you structure this? How will you organize the content? What do learners really need to know and what is simply nice to know? Here’s the answer: you actually do need to do a task analysis! The task analysis will help you uncover exactly what it is that learners need TO DO with the information the training covers. Remember: training is teaching someone how to do something. If they’re not learning how to actually apply the information, it’s not training; it’s an info session. The tasks you identify in the task analysis will become the learning objectives of your course, and prioritizing them becomes a lot easier once you have them all listed in front of you. In this case, the next thing I’d do is call Karen, or the other stakeholders in the project, to uncover exactly what the objective is for the sales team, and the company’s success measurement criteria. That information should help uncover the tasks related to the content the team will be learning in the training. Great! See how we’ve uncovered a few tasks there? The sales reps need to “explain the benefits of the product.” Bam! We have a task. And the sales reps need to “identify common issues and their rebuttals.” Another task! As you make your task list, here’s another task analysis tip: You want to avoid tasks that start with verbs like “know” and “understand,” because those are not measurable objectives you can test. You can’t prove if a learner knows the common customer complaints. But you can prove whether a learner can list them by giving him or her the opportunity to do so on a test or in an e-learning quiz. So keep in mind that you want to use measurable verbs when you create your tasks, because they become your learning objectives, and you want them to be measurable. Once you’ve identified a task, the next step is to break down the subtasks and identify the relevant information. I’ve written an article about how to do a detailed task analysis here: How to do a Task Analysis Like a Pro. And that’s it! 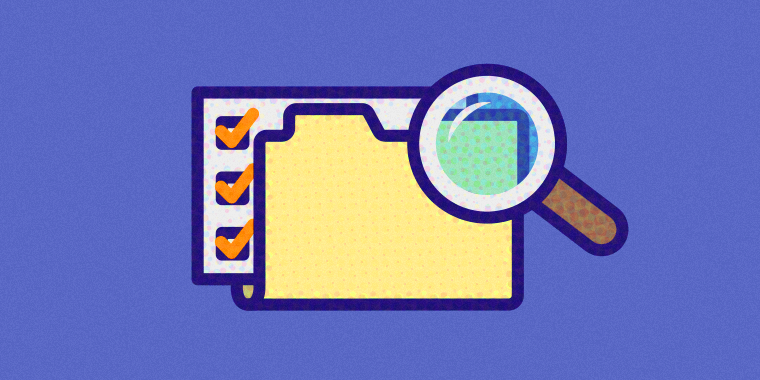 The next time you’re handed a big pile of project information, don’t despair—just remember your task analysis. It will guide you through all of the content and help you identify what learners really need to know, which is how to do their job! Do you have experience or advice on creating a task analysis? Share your insights in the comments below. Follow us on Twitter and come back to E-Learning Heroes regularly for more helpful advice on everything related to e-learning. Hi Nicole. I agree with all your ideas above. One question I get asked about a task analysis is what are next steps to translate into a course/curriculum? My answer is to stack rank them by difficulty, importance, frequency, and whether the learner will have any prior knowledge. Based on the resulting scores (and if there are any business metrics), we will know which tasks to provide emphasis to in the training . That is a super valuable tip, Mike! I really think that's a great approach to identifying the most important tasks and good to way to create your course outline. Love it! Thanks for sharing that. Nicole -- first you say "That said, there are a few situations where you DON’T need to do a training needs analysis." I looked at your examples (mandated training & new product/process training) and I was getting ready to respond with "But you still need to do a needs analysis! If you don't, you run the risk of wasting everyone's time and making the situation worse!" Then you come back with "Here’s the answer: you actually do need to do a task analysis!" Isn't that "bait and switch" or something like that? : ) Anyway, you got me there. Nicely done. I think one always, or nearly always, does training needs analysis. It a question of degree, or formality. In your example, the training has already been mandated, but when one determines what specifically trainees need to know or do, you have done a needs analysis. That early determination should be recorded so everyone is on board with the scope. When one determines what trainees really "need to know" as opposed to maybe nice to know, one in essence has done a needs analysis. Quick and dirty, perhaps, but it's till a needs analysis. Thanks for your comment, David! I think it's just a matter of using different names for the same thing because what you'd call the "needs analysis" I call more of the initial scoping for the project plan... and that only comes once I've done the needs analysis, which only identifies whether or not the training is going to solve the performance issue. Good points. It's easy sometimes to get caught up in semantics when defining these processes. The important thing is that there is agreement on what is being done; what it's called is secondary. ID processes often flow into or are stages for the next activity, however, I often find the boundaries not clear cut. Scoping for example is an output from a needs analysis (just the way I look at it). I think of what you are calling needs assessment as more of a business needs analysis. Determining if training is the answer is more or less the ID role of "consultant". Along the lines of three very basic or high level phases to ID: analysis - design - implementation, the analysis phase as I am thinking of it this moment, is elastic enough to include your definition. As you say, perspectives differ on the definition. Our training department was directed by a potential client unit to create training for a situation that, I felt, required another correction method. Using the company's own "training needs analysis," I showed that training was not the recommended solution. My boss backed me up, and the requesting unit agreed, instead increasing their in-house management oversight. There are some things that cannot be trained, but must be learned. You captured my attention! Like other's who have commented, I was also one that was thinking as I began reading "Yes, you would need to do a training analysis in these cases!" I work in healthcare and, as you can imagine, we often develop training related to new government mandates. The analysis can easily be overlooked in these cases but is, as you stated, the key factor for effective training. To do this we start with, other than the fact that this is a mandated training, "who" is impacted, "why" do the learners need to know this information and what behavior needs to change.